Explore our unique interactive map to discover respiratory priorities and activities across STPs, Health Boards and Health and Social Care Trusts in England, Scotland, Wales and Northern Ireland. Explore the UK at a glance using our interactive map. Discover local respiratory priorities and models of care. Learn about individual regions via their dedicated pages, features and resources. Regular, topical features and interviews with our sector's leading opinion formers. 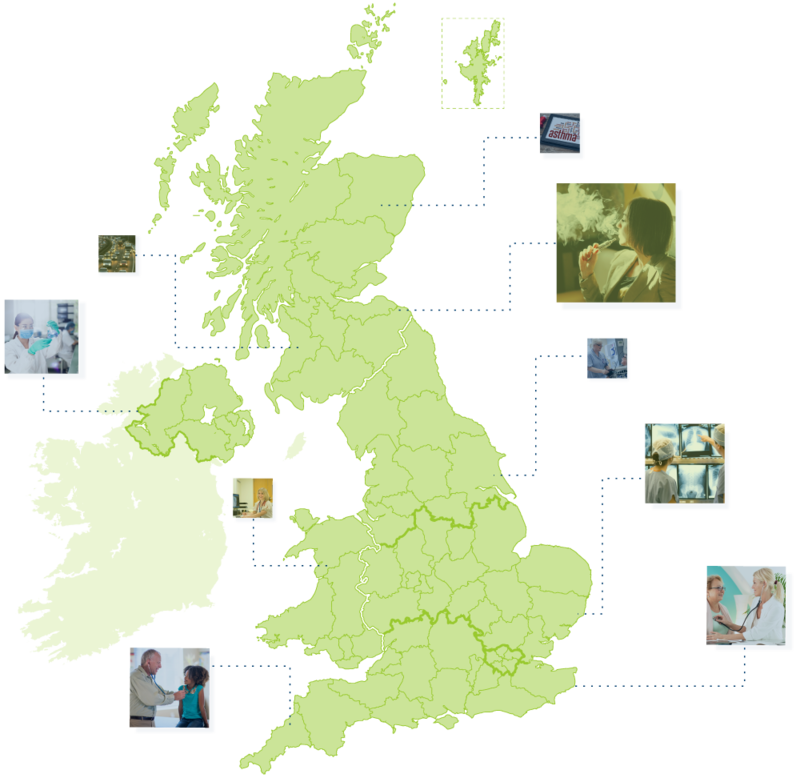 Respiratory Futures offers a central, independent location for initiatives of national scale and scope. Listen or take part in the latest discussion taking place in the Respiratory community.